Let’s take a company that has a good brand and market share but has been both under-performing the peer group and the market over the last three years. As a result of this underperformance the shares are at a significant discount to the market and the peer group. The shares have languished at a discount for some time. The question many professional investors will consider is are the shares cheap or are they a “value-trap”? A ” value trap” is a share that looks cheap but is destined to remain so – the shares deserve their low rating (earnings or cash flow multiples) because the growth, quality and risk characteristics dictate that a re-rating is unlikely. The company may be ex-growth, the market may have lost faith in the management team and it’s ability to create value and not believe the earnings projections. The risks of a serious profit downgrade and/or the earnings not converting into cash (suggesting some accounting issues) may also be putting off investors. If there is value in such a situation, then a “catalyst” is required to highlight the upside and that the risks are overstated – to improve the growth outlook and quality of earnings and reduce risk as this combination drives valuation. An “event- driven” hedge fund for example may engage in activism as a “catalyst” for performance. To generate upside in the shares there needs to be an “event” – for example a disposal, change in (under-performing) management, share buy-back, more progressive dividend policy or even initiate dividend payment as is occurring in some technology stocks (see check list for a more comprehensive view of the range of likely actions.) These actions will create value as the “catalyst” brings attention to the underlying value of the stock. The hedge fund then may agitate for a series of actions that crystallises value and supports a rising share price over time. Certainly following such actions, it is hoped, positive media and analyst coverage and positive momentum will be generated. In an ideal world, such an event would highlight the hidden value in the stock, improve fundamentals (as more management time and focus is spent on the core business for example), trigger upgrades and improved news flow that would attract both “value” and “momentum” investors. Thus the “value-trap” is sprung and out-performance may continue for some time. In this context of the “value-trap” it might be argued that if the shares have been under-performing for some time, it should have been obvious to management and they should have been doing something themselves to flag that the shares are undervaluing the prospects for the business and done something about it. Arguably in most instances it is, as the activist checklist below suggests, fairly predictable what the activist’s campaign will focus on. One might argue being “active” and challenging consensus, prevents any “group think” and complacency from the board. Interventions should raise the quality of debate and lead to closer examination of the issues and the options leading to better outcomes and the creation of greater value. While fund managers have rarely run business and may not be very good at it, they are extremely good/experienced at allocating capital and taking a view of market trends. They also have a pan-market perspective so know best practice across the piece and will often know the competitive nature of the industry they are seeking change in. 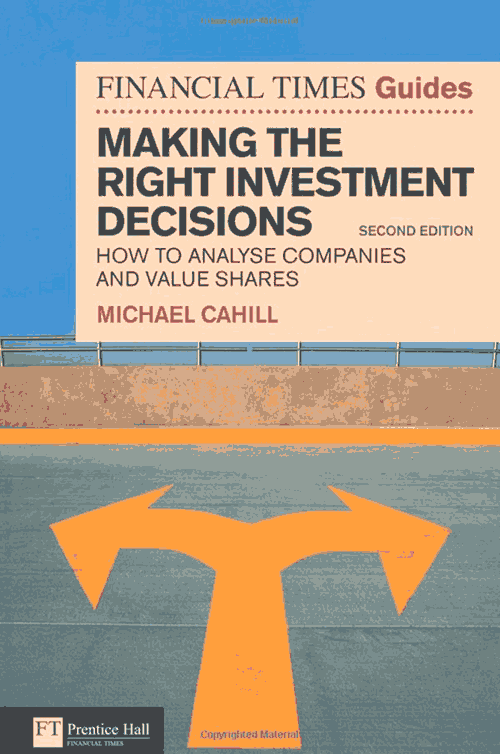 If the activists are wrong, or their actions are likely to only benefit short-term interests and impair the long-term competitive position of the business and it’s ability to create value in the long run, then the incumbent management team must make a compelling and coherent case to get the majority of investors on board to support their alternative strategy. It may be for example that a share buy-back leaves the balance sheet too stretched to invest in the business or that the cyclicality of the business will not absorb the extra debt. The challenge is to see through the more short term driven requests of the activist and preserve a coherent and effective strategy for long-term value creation. Having to think about this more deeply and have compelling alternatives on the table should in theory benefit all shareholders. If nothing else, it will inevitably make the ride more interesting.